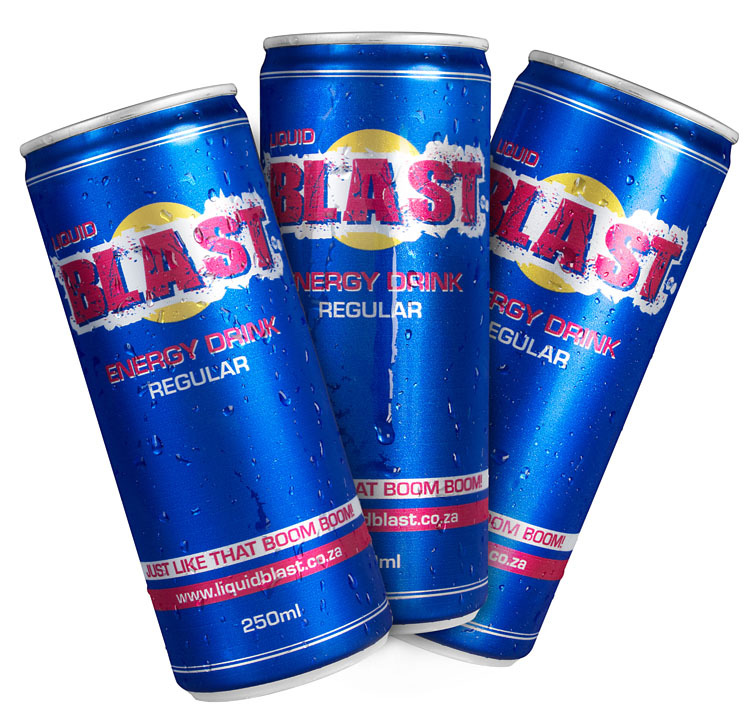 Liquid Blast is a locally conceptualised energy drink manufactured in Poland. 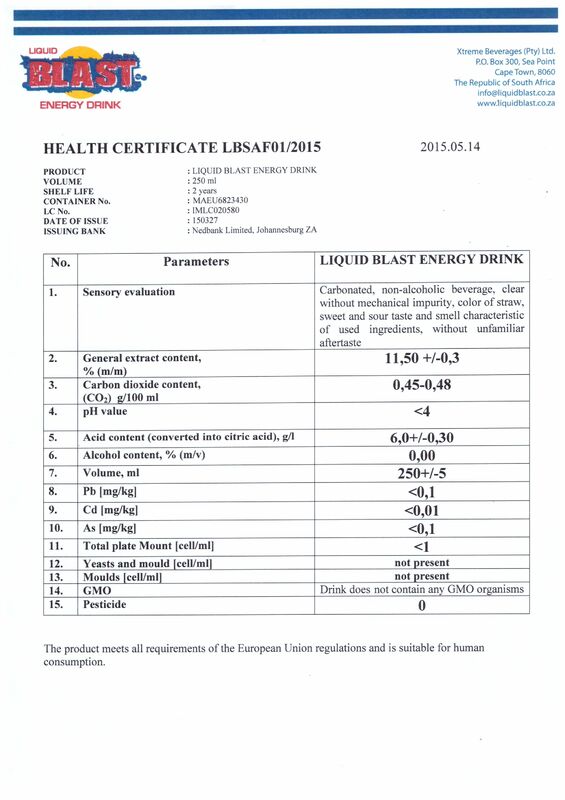 Liquid Blast is a slightly carbonated unique energy drink with a premium taste and the product is full of ingredients selected for their energizing qualities. Liquid Blast has a positive effect on physical and intellectual performances and responds to the needs of active people and everybody aiming to achieve outstanding results.The product is Halaal and Kosher certified on each and every shipment. 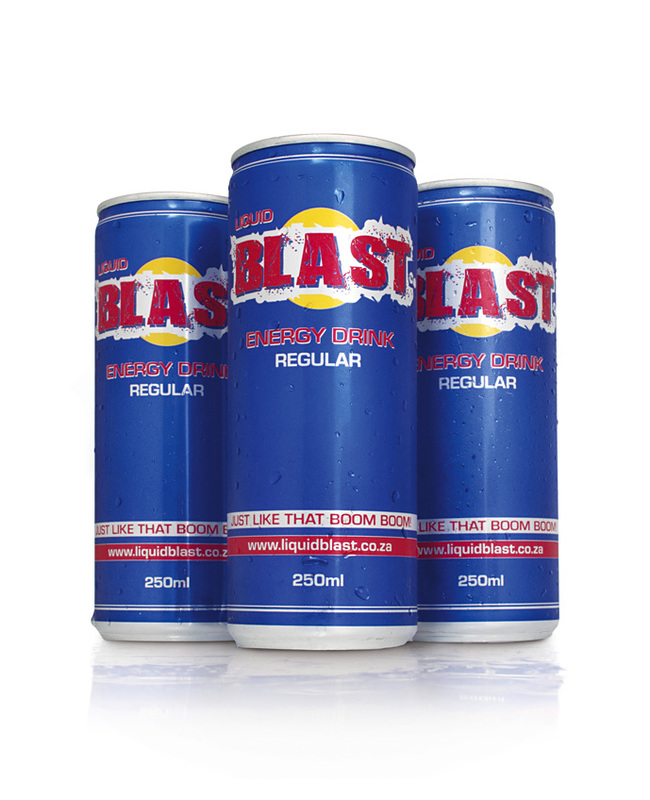 Our energy drink is available in a 250ml conveniently sized can. Specific orders can be catered for.Our cans are made from aluminium, and are 100% recyclable. Each can has a 24 month shelf life from date of production.